Hon. Narendra Modi, Prime Minister of India welcomes Hon. 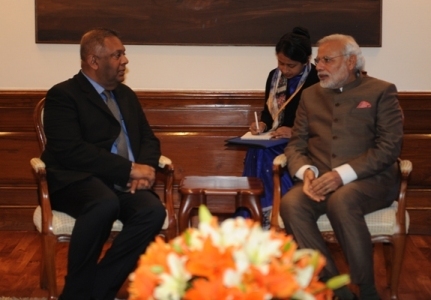 Mangala Samaraweera, Minister of Foreign Affairs of Sri Lanka on 19th January 2015 at the Official residence of the Prime Minister in New Delhi. Hon. 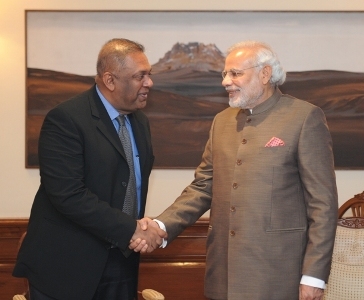 Mangala Samaraweera, Minister of Foreign Affairs of Sri Lanka pays a Courtesy call on Hon. Narendra Modi, Prime Minister of India on 19th January 2015 at the Official residence of the Prime Minister.